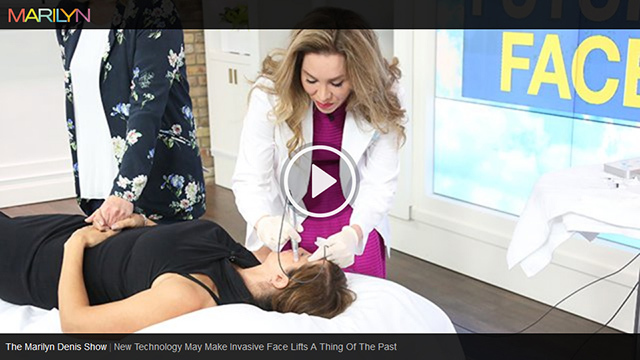 Dermatologist Dr. Lisa Kellett talks about new and groundbreaking innovations in anti-aging. By Dr. Lisa Kellett M.D., F.R.C.P. (C), D.A.B.D. The eDermaStamp is an electric Micro-Needling system using surgical-grade needles which penetrate the skin up to 150 times per second. The eDermaStamp treatment is effective rejuvenation and collagen induction therapy (CIT). The insertion of the needles stimulates the cells in the skin producing new collagen and is effective in treating fine lines and scars. 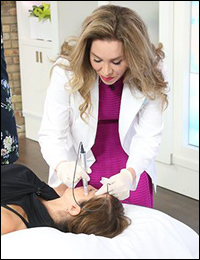 Aesthetic medicine continues to evolve with the development of cutting-edge products and new techniques to use them. The use of MD Codes™, developed by Dr. de Maio in Brazil, is a novel way to optimize results through personalized facial aesthetic treatment planning. It uses a specific injection technique in combination with a family of hyaluronic acid based Juvederm fillers which enables one to assess the face as a whole entity while simultaneously respecting each facial subunit. The Thermage Total Tip Treatment has been proven safe and effective for treating skin laxity in the face and neck. This new tip allows for double the volume of maximum bulk heat delivery so that other areas can be treated such as arms and abdomen. The treatment uses radiofrequency energy deposited deep in the skin to alter damaged collagen and stimulate collagen remodeling to treat wrinkles and skin laxity. The effect is a tightening and lifting of the skin which can last up to 2 years. It works on all skin types and tones on the entire face: forehead, eyes, nasolabial folds, jaw line, jowls and neck. Historically, to tighten skin, facelift surgery would have been the method of choice. However, there are now non-surgical treatments such as Thermage that tighten skin that using radiofrequency which is a form of heat that results in collagen production. The treatment of scars has changed. In the past we used aggressive dermabrasion, however today we use fractionated resurfacing technologies such as the ProFractional laser. The result is the ablation of the superficial layer of skin as well as the production of heat in the deeper layer of skin that tightens collagen. Twenty years ago there was no predictable and safe way to replace lost facial volume and while facelift surgery made patients look tighter they didn’t neccessarily look better. 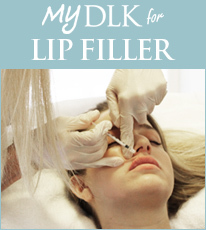 Now with Hyaluronic acid fillers of differing viscosities we are now able to easily replace lost volume in the face. There has been an ideological shift from trying to look younger, to looking like a fresher version of yourself.